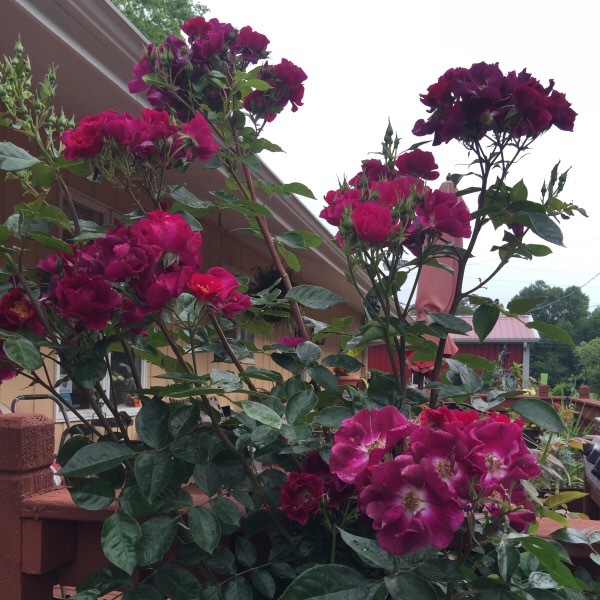 ‘Stormy Weather’ Climbing Rose, Mauve or Purple? The weather across the U.S. calls for a rose aptly named ‘Stormy Weather’ for Wordless Wednesday. Join the debate, leave a comment. Color is subjective. How do you see the color of ‘Stormy Weather’? Vote in the comment section or tweet your vote. 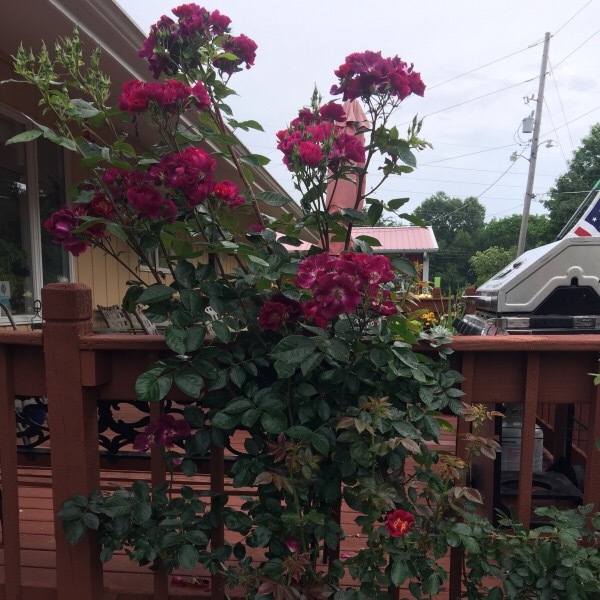 ‘Stormy Weather’, LCI Beautiful large flowered climbing rose bush blooming in candelabra of purple blooms or do you call them mauve? The little ruler was provided by The Seedkeeper Company, the best source for organizing your seeds.